SCG Student Social at GSA 2016 – Learn more here! National Partnership to Improve Dementia Care in Nursing Homes: How Can Psychologists Get Involved? The Public Policy Committee for Psychologists in Long Term Care (PLTC) and the Society of Clinical Geropsychology (SCG) – Section 2 of the Society of Clinical Psychology (SCP) – has recently become involved in supporting the National Partnership to Improve Dementia Care in Nursing Homes, along with several other geropsychology organizations. The “National Partnership” is an initiative (starting in 2012) of the Centers for Medicare and Medicaid Services (CMS) to improve dementia care through individualized care approaches, with the goal of reducing the use of unnecessary antipsychotic medications to address behavioral expressions in dementia (see https://www.nhqualitycampaign.org/dementiaCare.aspx). A variety of challenging behaviors are commonly associated with dementia, such as verbally or physically aggressive behaviors, repetitive vocalizations, wandering, disengagement, and depression. Such behaviors are often expressions of unmet needs or responses to particular interpersonal or environmental triggers that may inadvertently be reinforced by caregivers’ responses to the behaviors. Despite the growing evidence base for behavioral approaches to managing behavioral expressions in dementia, the mainstay for treatment has been the use of antipsychotic and other psychotropic medications. Unfortunately, there is limited efficacy for the use of these medications for managing challenging behaviors in dementia, along with an increased risk of death. As a consequence of this risk profile, the FDA issued Black Box warnings for the use of antipsychotic medications in individuals with dementia, in 2005 (atypical antipsychotics) and 2008 (conventional antipsychotics). Until recently, psychologists have not played a major role in supporting the National Partnership. However, they psychologists can play a critical role in helping nursing home leaders and teams develop and implement non-pharmacological interventions to help reduce distress and discomfort among their residents with dementia. 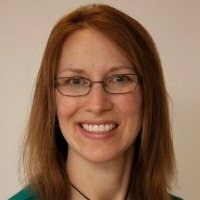 In fact, geropsychologist Dr. Kimberly Van Haitsma co-led with Ann Kolanowski, RN, an expert panel that developed an on-line nursing home toolkit: Promoting Positive Behavioral Health: A Nonpharmacological Toolkit for Senior Living Communities (see www.nursinghometoolkit.com). That effort was supported by the Commonwealth Fund and the Hartford Foundation. This toolkit divides resources into five major categories, all of which psychologists are well-equipped to help nursing home staff address: (1) system integration: supporting system-wide implementation of new models of care; (2) education and leadership; (3) assessment; (4) clinical decision making; and (5) non-pharmacological approaches. Psychologists who work in nursing home settings have abundant opportunities to help their teams in one or more of these domains (see the organization Psychologists in Long Term Care, at http://www.pltcweb.org). However, CMS and many nursing home administrators may not be fully aware of the services that psychologists can provide. Several geropsychologists – Drs. Kelly Carney, Jane Fisher, Andrew Heck, Michele Karel, Mary Lewis, Victor Molinari, Margaret Norris, and Kimberly Van Haitsma – have joined a working group to collaborate with CMS on strategies to get the word out to (1) the nursing home industry about how psychologists can contribute to the National Partnership and (2) psychologists who may be interested to learn more and help with this initiative. In this vein, this working group is developing a description of Professional Psychology that will serve as a template for descriptions of all the professions working in long-term care; in part, there is a basic need for interprofessional education about the knowledge and skills that the various professions can bring to this partnership (e.g., recreation therapists, social workers, occupational therapists, chaplains, etc). Likewise, we want to spread the news about the role of psychologists in developing the evidence base for non-pharmacological interventions in long-term care settings, and their role in disseminating these interventions. I will share an example of one national implementation effort with which I am involved. The Veterans Health Administration (VHA) of the Department of Veterans Affairs provides skilled nursing long-term, rehabilitation, and palliative care in its 130+ Community Living Centers nationwide. Dr. Brad Karlin, President-Elect of SCP, oversaw an initiative to integrate psychologists into all of the VHA CLCs and to train these mental health providers to help their teams develop the knowledge and skills to care for Veterans with dementia-related challenging behaviors. In collaboration with Dr. Linda Teri, VHA adapted her STAR (Staff Training in Assisted Living Residences) intervention for application in VHA CLCs. A pilot implementation initiative and subsequent development and dissemination of this training program has demonstrated decreases in the frequency and severity of target behaviors, as well as decreases in symptoms of depression, anxiety, and agitation, and increased self-reported team member confidence in their ability to manage these behaviors effectively. If you are interested to learn more or to support the efforts of the National Partnership to Improve Dementia Care in Nursing Homes, please see the websites and references included here, and contact Dr. Kelly Carney (kcarney@phoebe.org) or Dr. Margaret Norris (margienorris@hotmail.com) for more information. Kolanowski, A., Van Haitsma, K., Resnick, B., & Boltz, M. (In press). A toolkit for behavioral health. Journal of the American Medical Directors Association. 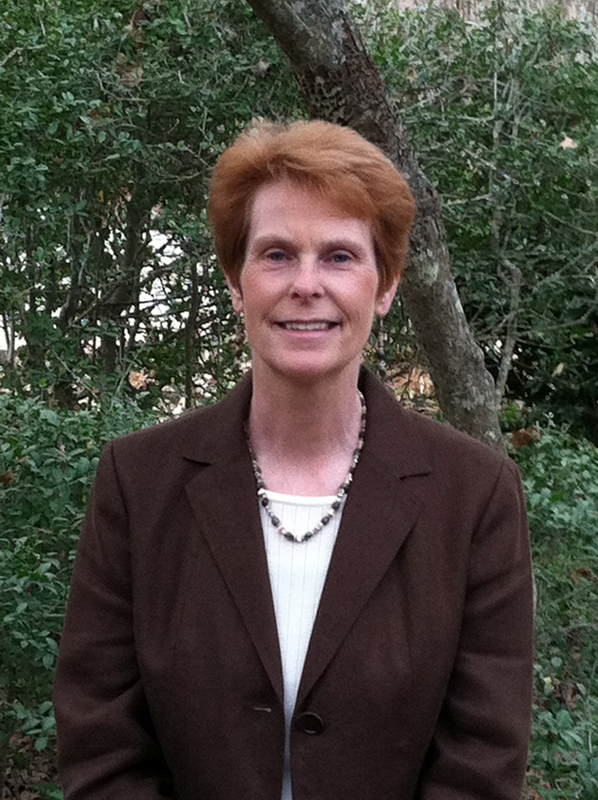 Michele J. Karel, PhD is the Psychogeriatrics Coordinator for Mental Health Services in VA Central Office. Perhaps psychologists’ most common oversight of CMS regulations is failure to “opt out” of Medicare. Many psychologists, especially those who are not geropsychologists, do not know that in order to treat Medicare patients they must either be a Medicare provider and bill Medicare for all services provided to all Medicare patients treated, or formally opt out of Medicare and not bill Medicare for any service. Providers cannot bill Medicare for some and not for others. Unlike private insurance panels, being an out-of-network Medicare provider requires more than simply not enrolling. The opt-out provider may not be reimbursed by Medicare for any services, nor does Medicare reimburse the beneficiary for services the beneficiary has paid to a practitioner who has opted out. In contrast, Medicare providers must submit claims on behalf of their Medicare patients rather than directly charging the patient and the provider is not allowed to charge the Medicare beneficiary any fees in excess of the Medicare allowed amounts. The opt-out period is two years although the provider may terminate the opt-out option early. To continue the opt-out option, the provider must renew it for subsequent two-year periods. The provider must file their opt-out affidavit with their MAC within ten days of entering into a private contract with a beneficiary (except for emergency or urgent care services, which are exempt from opt-out regulations). Opting-out providers must execute private contracts with all Medicare patients. The patients must be informed in writing of the following: Medicare will not pay for the services, the patient is fully responsible for and agrees to pay privately for the service, the patient could receive these services from other Medicare providers, the expiration of the opt-out period, and they must receive a renewed contract for each opt-out period. These contracts are null and void if the provider fails to opt out or renew their opt-out affidavit. Also, Medigap plans and most other secondary plans will not pay for the services. For more details see Centers for Medicare & Medicaid Services. (2013a, May 10, Section 40). Medicare benefit policy manual, chapter 15 – covered medical and other health services. Retrieved from http://www.cms.gov/Regulations-and-Guidance/Guidance/Manuals/Downloads/bp102c15.pdf. If you know colleagues who are not Medicare providers and are seeing patients who are Medicare beneficiaries, you might ask them if they are aware of this opting-out requirement. Margie Norris, Ph.D. is in independent practice in Longmont Colorado. She is Co-Chair of the Public Policy Committee for PLTC and the APA Society of Clinical Geropsychology. She will serve as President-Elect for the APA Society of Clinical Geropsychology beginning January 1, 2014. These questions are typical of the many questions posed on the PLTC and 12/II listservs about Medicare coverage and regulations. Almost all coverage determinations for psychology services are established at the Local Coverage Determination (LCD), not the National Coverage Determination level. Hence, questions about coverage usually must be answered by looking at the LCD for your individual Medicare Administrative Contractors (MACs). Psychologists must know how to access the LCDs that regulate their jurisdiction. LCDs include pertinent information such as coverage indications, limitations, medical necessity, coding information, diagnoses that are covered under the services, documentation requirements, utilization guidelines, and a history of revisions to the LCD. Psychologists need to know these regulations and policies to ensure they are providing allowed services that are reimbursable and would survive an audit. Using any of the above links to your LCDs gives you critical information at your fingertips! It is fast, easily accessible, and gives you the information you need to stay in compliance with Medicare! The Center for Medicare and Medicaid Services (CMS) has recently discovered what Geropsychologists have always known. Specifically, as a result of the initiative to reduce the use of antipsychotic medications in nursing home residents, awareness that nursing home staff require additional tools to respond effectively to behavioral expressions has emerged. In response, CMS is promoting the use of person centered care and systematic processes to address “potential underlying triggers” to behavior. The CMS websites for Advancing Excellence in America’s Nursing Homes (http://www.nhqualitycampaign.org) and the Partnership to Improve Dementia Care in Nursing Homes (https://www.nhqualitycampaign.org/dementiaCare.aspx) are chock full of behaviorally based resources, tools and training. Many of these resources are grounded in psychological theory and research, and some have been created by psychologists. These tools are being adopted and utilized by other disciplines, such as nursing, psychiatry and social work, for the benefit of long term care residents. Unfortunately, while psychology has contributed much to our understanding of person centered approaches to care and effective uses of behavioral interventions in older adults, psychologists have not historically been well integrated into the care of nursing home residents. While it is true that many nursing homes utilize consulting psychologists to provide assessments and therapy to their residents, too often psychologists operate quite separately from the care team. This is due in large part to the restrictive nature of Medicare reimbursement regulations, which limit the activities of a psychologist to therapy and assessment procedures and do not reimburse for communication and consultation with the care team. At the same time, CMS – and yes, that is the same CMS that is responsible for overseeing the reimbursement mechanisms under Medicare – is now calling for increased engagement by psychologists and other mental health providers in the interdisciplinary team processes directed at person centered care within nursing homes. In fact, in the January 31st National Partnership to Improve Dementia Care in Nursing Homes National Provider Call, nursing home providers were specifically encouraged to “include behavioral health consultants/specialists” in their systematic team efforts to address behavioral needs through environmental and person centered interventions, (http://www.youtube.com/watch?v=FEFTCtyWPGA, slide #34). So here is our golden opportunity. Psychological research and theory have played a critical role in informing the emerging best practices in nursing home care, particularly for individuals with dementia. Moreover, the nursing home industry as a whole is acknowledging that they need support and guidance to effectively implement behaviorally based interventions in place of medications and transform care systems to be more person centered. At the behest of CMS, nursing home surveyors are now being trained to look for and evaluate the systematic processes in place to identify and address behavioral triggers and person centered care planning. Nursing homes are more likely than ever to seek mental health expertise and incorporate that expertise into their interdisciplinary team processes. The door has been opened. Now we only need to walk through it, as individual practitioners and as a professional specialty. Of course, there is one caveat. It still is not clear how we will be paid for this consultation time. Some may contract with the facilities for consulting fees. Others may seek program grants or research funding to support their efforts. Many of us, in conjunction with APA, are advocating for expanded reimbursement mechanisms under Medicare. But the most important thing is to walk through the door that has been opened to us. Geropsychologists are uniquely equipped to partner with nursing home staff to work toward transformation of care practices and inform the individual care planning for the residents of nursing homes. And those residents are in such great need of more person centered, psychologically informed care. Let’s use our creativity, entrepreneurism and influence to make sure that Geropsychology seizes this golden opportunity to partner more fully with nursing home staff in service to the older adults living in nursing homes in our country. 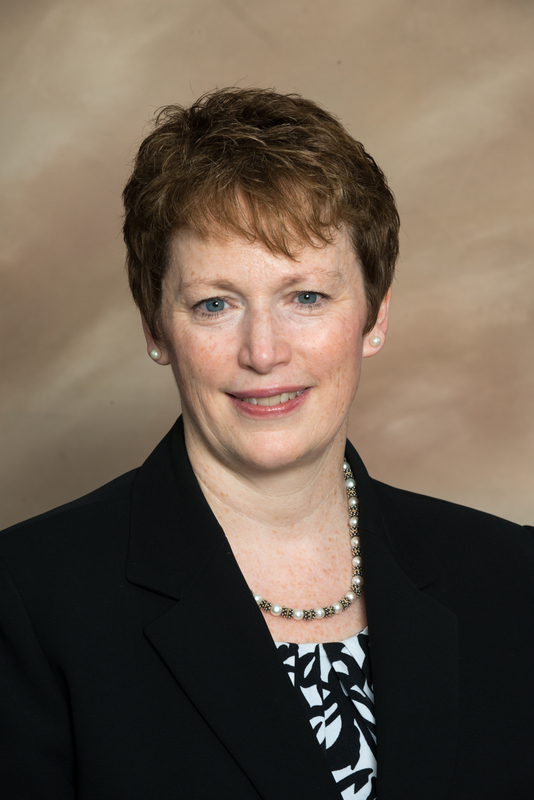 Dr. Kelly Carney is the Executive Director of the Dementia Center for Excellence for Phoebe Ministries, a premier provider of services to older adults in northeastern Pennsylvania. She is a member of the APA Committee on Aging and serves on the Pennsylvania Alzheimer’s Disease Planning Committee. Despite the impact of medical conditions upon the mental health of the residents, psychologists are one of the few treatment team members in nursing homes to have mental health training. The psychiatrists’ visits are generally brief and infrequent, and the social workers are often too busy with discharges, intakes, and crises to regularly address the mental health concerns of residents. It’s the psychologist’s job, therefore, not just to treat their patients, but also to educate the staff and, mostly, to represent. The nurses, aides, and other team members often have no idea what a psychologist does and how we can help. Their expectations of psychology are often formed by media images because of a lack of exposure to actual psychologists, especially if they come from cultures that eschew mental health services. My task, first and foremost, as part of the treatment team is to reassure team members that I’m a pleasant, well-balanced person who can help them get their jobs done. I’m friendly with staff members while maintaining boundaries. I write my notes in a manner that communicates information but doesn’t cast a negative light on other departments. (There are never problems with staff in my notes, but we do occasionally address interpersonal issues.) I let the improved outlook, increased attendance at activities, and reduced interpersonal conflict of my residents showcase the effectiveness of psychotherapy. In one-to-one interactions, I offer a knowledgeable opinion when asked for it, and I advocate for my residents without alienating the staff I need to work with on a daily basis. Group forums such as morning report are an ideal time to educate through brief suggestions, such as considering a psychology referral for a newly admitted resident with a history of mental illness or with a recent amputation. Staff trainings can offer more in-depth information on a particular mental health topic such as depression or dealing with aggressive behavior. The resident is my patient, but sometimes it’s the family or the resident/roommate duo or the resident/aide pair or the floor or the facility. But what if we think of the healthcare system as the patient? If the healthcare system is our patient and we are called upon to use our psychological skills to treat it, then psychology researchers, clinicians, policy-makers, and advocates are all part of the treatment team working with those in other fields. Just as in individual facilities, psychologists can make a huge improvement in care, but most people don’t know much about what we do. Our healthcare system “carves out” mental health conditions, while we know that physical health impacts on mental health and vice versa. Just as we do as clinicians in long-term care settings, we can effect change in our healthcare system patient through various methods. Our researchers can study issues that make a practical difference in clinical treatment and inform public policy. We can apply the knowledge of our colleagues in industrial/organizational psychology to improve the functioning of individual healthcare organizations and their interactions with one another. We can use our training to improve team dynamics and to help families as they navigate the healthcare system. Our knowledge of behavior can enhance preventive care efforts. We can write about what we’re doing in research journals and share user-friendly versions with those who need our knowledge in the field. We can also model a cohesive effort, as we’re doing with the creation of this GeroCentral site, bringing together those psychologists working toward the common goal of improving care for our elders. I’m one of those enthusiastic psychologists who, after decades in the field, still strongly believe that psychology can change the world, especially when we all work together to tell people what we do and how we can help, in the microcosm of the nursing home and in the healthcare arena. When I see the strides my colleagues are making in various aspects of eldercare, I know I’m not alone. 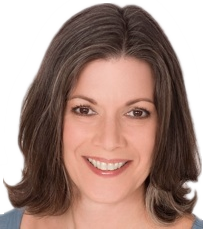 Eleanor Feldman Barbera, PhD, author of The Savvy Resident’s Guide, is a speaker and consultant bringing psychological insights to long-term care through her award-winning website My Better Nursing Home and her McKnight’s Long-Term Care News column, The World According to Dr. El. The recent New York Times article entitled “How Therapy Can Help in the Golden Years” (http://well.blogs.nytimes.com/2013/04/22/how-therapy-can-help-in-the-golden-years/) opened the door to a conversation once thought to be taboo: Older adults talking about mental health and treatment. Decreasing stigma, longer lives, awareness of the benefits of psychotherapy, as well as mental health parity from Medicare (80% reimbursement as of Jan 1, 2014) have all helped tear down the wall. There are numerous ways that psychologists and psychotherapy can be beneficial in late life. Older adults can deal with a significant number of stressors, such as changes in health, loss of loved ones, workplace issues, and chronic illness in the psychotherapy relationship, and find new ways of coping and/or modify past coping strategies to fit the current situation. Behavioral concerns, such as smoking, poor nutrition, insomnia, and inactivity, can contribute to emotional distress and can be addressed in counseling sessions. Issues with depression, anxiety, bipolar disorder, substance abuse, and suicidal ideation can also be effectively treated with psychotherapy. Last, using psychotherapy as a way to find meaning and purpose at the end of life, or exploring Erikson’s Integrity vs. Stagnation stage can be a way to identify a life well-lived and make peace with unresolved conflicts. Unfortunately, some barriers do still exist. Practical concerns, such as issues with transportation, financial difficulties with co-pays, and health issues interfering with one’s ability to get to an outpatient office may contribute to some older adults not receiving adequate mental health services. Further, there is currently a shortage of mental health professionals adequately trained in the unique concerns of this population. This shortage will make it more challenging for older adults to find mental health professionals to treat their unique late-life concerns. GeroCentral exists to remove one of these barriers and help contribute to the creation of a well-educated and adequately trained workforce of psychologists who will treat older adults in the community, hospitals, and long-term care communities. Please browse the site, and stay tuned for future blogs focused on Geropsychology! 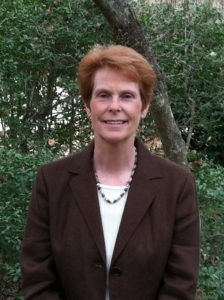 Mary M. Lewis, Ph.D. is tenure-track faculty at Columbus State Community College and a psychologist with Senior Life Consultants, Inc. She is currently President of Psychologists in Long-Term Care, chair of the Ohio Psychological Association’s Committee on Social Responsibility and co-chair of the APA 12/II Public Policy Committee.